BK College of Education is a new born organization in the education industry. The college knows the importance of education in the modern world and so it has established itself for educating the masses in the field of teaching. Thus the college provides professional education to the future teachers of the country and abroad. The college oaths to mould the overall personality of the students so that they can cope up with the changing needs and environment of the teaching industry. With increasing competition amongst the students, the teaching faculty also has to meet up the needs of their students, and that is what is given to the future teachers of the nation. They are made enough competent to face confronts of their upcoming period. 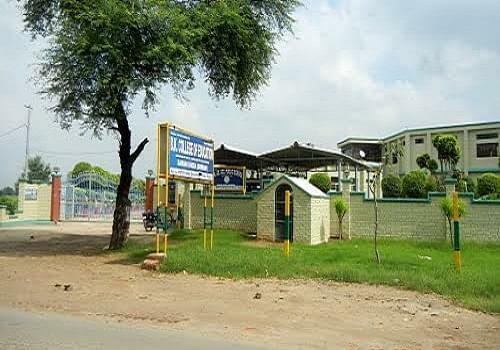 Library, Labs, IT Lab, Common room, audio visual room, sports facility, transport facility, ventilated class rooms. Why to Join BK College of Education, Bhiwani? New Organization: As it is known that new is always fresh, this is what is provided in this college – fresh and new ideas, fresh and new environment and overall fresh syllabus that caters to the latest changes in the education industry. Placement Cell: The College has a placement cell within the campus that is responsible for the interaction between the industries and college. This is done through trainings, frequent industrial visits, etc. The placement cell also helps the students by counseling them to define their career interest to settle in one. Hi Rushita, No first you have to clear your back logs then only you will get admissions in zoology.